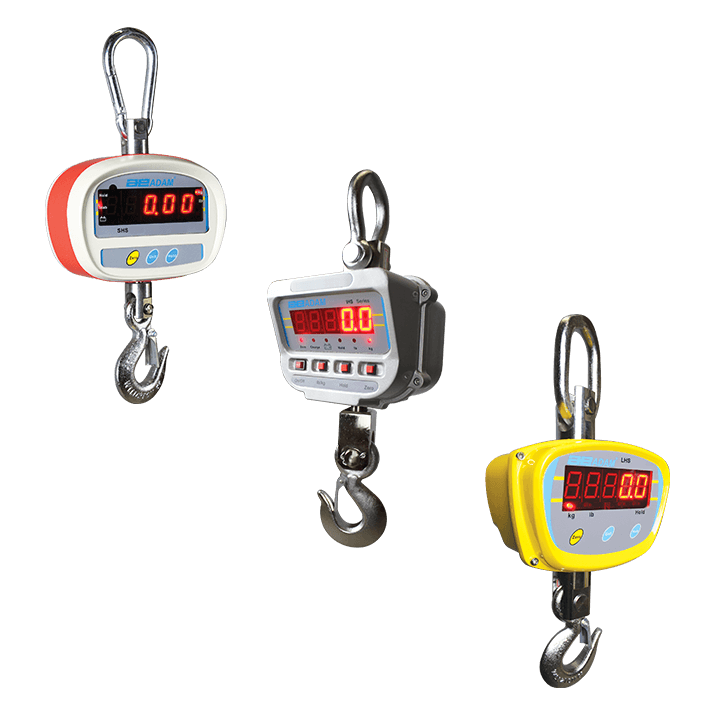 Adam Equipment's robust crane and hanging scales feature a large, chrome-plated rotating steel hook and shackle with a safety catch, providing the strength and flexibility needed for weighing suspended loads. Standard remote control operation allows operation of the crane scales from a distance, while readings are shown on an easy-to-view display. Models are constructed using a variety of sturdy materials including die-cast metal, poly-carbonate and cast aluminium magnesium housing. Adam hanging scales stand up to demanding use in many settings from busy logistics warehouses, construction sites and engineering facilities to shipyards and ports, perfect for use on land or at sea. Adam Equipment's IHS industrial crane scale provides a strong, safe solution for weighing heavy, suspended loads such as machinery parts and containers. The LHS has up to 10,000kg weighing capacity. The LHS crane scale offers a strong, safe solution for weighing heavy, suspended loads in industrial settings such as shipping and production operations. The LHS features up to 2000kg weighing capacity. Adam's SHS crane scale offers a strong, safe solution for weighing heavy, suspended loads in industrial settings such as shipping and production operations.